We are identified as one of the commendable names in the market offering Mercury Element at affordable prices. We have established a state-of-the-art warehouse facility and equipped it with the latest inventory control system. Thus, we can take care of seasonal supply, wholesale supply, and quick supply among others. Mercury is a chemical element with symbol Hg and atomic number 80. 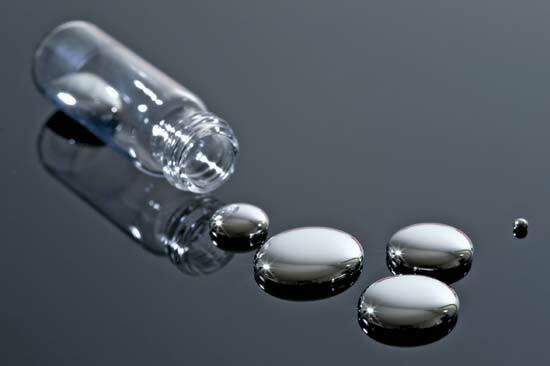 It is commonly known as quicksilver and was formerly named hydrargyrum .A heavy, silvery d-block element, mercury is the only metallic element that is liquid at standard conditions for temperature and pressure. Mercury is used in thermometers, barometers, manometers, sphygmomanometers, float valves, mercury switches, mercury relays, fluorescent lamps and other devices.